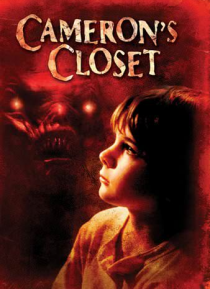 On a chilly evening, under a bright full moon Cameron Lansing, a lonely boy plays innocently in hiscloset. Later that same night his father (Tab Hunter) is found decapitated among the toys and sneakers a few months later Cameron's mother's boyfriend dies mysteriously. Cotter Smith is Sam Talliaferro, the detective assigned to the case along with Mel Harris, spectacular as the quintessential shrink… who detects Cameron's peculiar psychic powers.